Jack Kevorkian, the American pathologist known by many as ‘Dr Death’ for his role in helping over 100 people commit suicide, died early last Friday morning in Detroit. Kevorkian, who killed or assisted in the death of about 130 people, was released in 2007 after eight years for the second-degree murder of Thomas Youk. He had given Youk the lethal injection himself, and, in a videotape of Youk’s death, dared authorities to try to convict him. He sent a copy to CBS's 60 Minutes in 1998. Critics called it a snuff film and the judge overseeing the case accused Kevorkian of arrogance and disrespect for society. He was released early from a 10-25 year sentence amidst claims of extremely poor health and that he had only a year to live. Once out of jail, however, he continued his campaign for assisted suicide with high-profile speeches, for which he commanded considerable speaking fees. For a 2007 speech at Florida University he was reportedly paid $50,000. The euthanasia lobby attempted to redefine Kevorkian’s image in recent years. 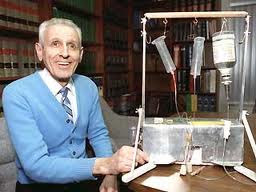 In particular, Kevorkian was the subject of favorable biopic last year starring Al Pacino called ‘You Don’t Know Jack’. But I think actually we do know Jack only too well! Despite claims that his murders were motivated by compassion, Kevorkian once described the alleviation of his victims’ suffering as ‘a first step, an early distasteful professional obligation’ to get a license for human experimentation. 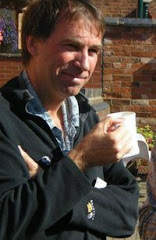 He was open about his desire to obtain organs for transplantation and experimentation. He even took the kidneys of one victim to a 1998 press conference where he offered them ‘first come, first served’. Kevorkian's antics alienated people and fueled intense criticism. He dropped bodies off at hospitals and dumped them in parks and abandoned buildings. Kevorkian's campaign to legalize doctor-assisted suicide has had limited success. While his native Michigan rejected a proposal shortly before he went to trial, the state of Oregon passed the Death With Dignity Act in 1997 and the state of Washington followed suit in 2008. Some 525 patients in Oregon and 135 in Washington have died after ingesting lethal doses of medication prescribed by their doctors since the laws were enacted, state records show. Yet doctor-assisted suicide emerged as the most controversial cultural issue in Gallup's 2011 values and beliefs poll which was released last week, with Americans divided 45 percent (down from 51% in 2008) versus 48 percent over whether it is morally acceptable or morally wrong. The increasing public perception that assisted suicide is immoral comes in the wake of parliamentary decisions in six countries in the last 18 months to block any change in the law to allow it. Kevorkian’s passing is a further reminder of the dangers of decriminalization. The British 1961 Suicide Act continues to provide a strong deterrent to the exploitation and abuse of elderly and disabled people. On the basis of the 2005 House of Lords Select Committee Report an Oregon-type law in Britain, as proposed by Dignity in Dying (formerly the Voluntary Euthanasia Society), would lead to about 1,000 assisted suicide deaths in this country each year. This is in stark contrast to the relatively small number of British residents (160 over ten years) who have travelled to the Dignitas facility in Switzerland to end their lives. See also 'Jack Kevorkian: Pariah or Prophet?' and 'Media Obituaries on Jack Kevorkian Use Revisionist History' by Wesley Smith.